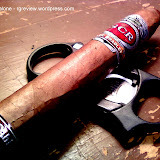 El Baton, a classic blend of the J.C. Newman Co.; reintroduced in 2009 offers smokers a much refined taste at a very flavorful Nicaraguan cigar. Encased in a corojo wrapper, the El Baton Double Toro (6×60) can’t help but swoon you with its vein covered, lush appearance and tantalizing aroma. 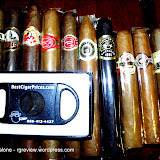 Upon my pre-light inspections I found the El Baton to be quite solid, but was surprised to notice only a double cap as opposed to the quite typical triple cap of most premium cigars now a days. Nonetheless, this didn’t seem to hinder the cut or draw in any way shape or form. Speaking of the draw, it was wide open; almost too wide open. Personally, I prefer a slightly tighter draw. 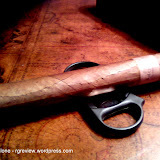 I think maybe the wider draw lead to the cigar burning a bit faster than I would have liked; I would have anticipated spending the better part of two hours with this cigar. Rather I found myself at the nub in just under ninety minutes. Not a bad thing however, just surprising. 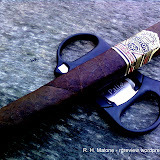 Also interesting, giving the quicker, hotter burn, the cigar never become harsh nor did it become overpowering. While J.C. Newman suggests the El Baton to be a “bold,” “fuller-bodied” cigar; I found it to maintain a rather medium strength throughout. 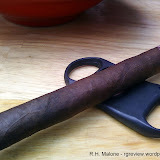 Here too, I would not list this as a negative quality of this cigar, just interesting. 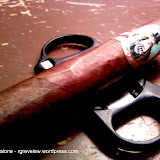 I will say however, the jack pot of the El Baton is it’s flavor profile. Complex, yet balanced describes perfectly the flavor of this quality cigar. Never one to notice what manufactures suggest one should taste; I picked up hints of a rosemary-like woodiness pre-light. Then once lit, I began to be introduced to a vast array of flavors; including heavy black pepper, and a very natural woodiness. The spice produced by the black pepper eventually faded, leaving the typical earthy, raw flavor I typically note in most Nicaraguan cigars. Noticeable too, intermixed with the various flavors was a slight hint of something sweet. Unfortunately, I was never quite able to put my finger on what taste specifically it reminded me of. 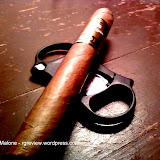 Producing heavy clouds of smoke and a stark grey ash, the El Baton is certainly a cigar worth trying; especially considering its modest price of $5.50 (depending on location of purchase). 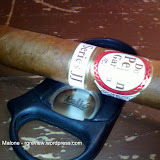 While not quite as flavorful and therefore enjoyable as the El Baton Double Torpedo, I would certainly not hesitate to recommend, nor smoke again the Double Toro.